Darcy Lee Donate Me Money So I Can Buy A House VirTual ReaLity Artificial Intelligence 911: Living Water and Fire. Technology. Deadline to Move 7th August 2011. Virtual Reality and How It Exists Right Now. Living Water and Fire. Technology. So about 4 years ago when this blog was first starting up I posted about Living Water and how one morning I woke up and had some. Also I talked about fire. You can read one of the posts HERE. Anyone who believes in me may come and drink! 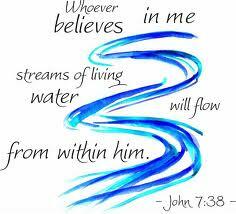 For the Scriptures declare, 'Rivers of living water will flow from his heart. Jesus answered her, "If you knew the gift of God, and who it is who is saying to you, 'Please give me a drink,' you would have been the one to ask him, and he would have given you living water." And he said unto me, It is done. I am Alpha and Omega, the beginning and the end. 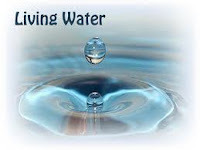 I will give unto him that is athirst of the fountain of water of life freely. So like I was saying. One morning I woke up had a drink from a glass of water I left out over night and it tasted the most brilliant beautiful it was living. It tasted alive. Also i've talked about fire, on a couple of occasions i've had the inside of my stomach where my abs are like basically a feeling of on fire. 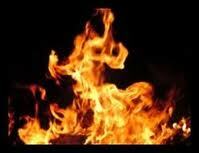 Who maketh His angels spirits; His ministers a flaming fire. Jer. 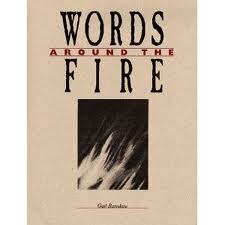 23:29 - Is not my word like as a fire? Saith the Lord; and like a hammer that breaketh the rock in pieces? Acts 2:1-4 - And when the day of Pentecost was fully come, they were all with one accord in one place. And suddenly there came a sound from heaven as of a rushing mighty wind, and it filled all the house where they were sitting. And there appeared unto them cloven tongues like as of fire, and it sat upon each of them. 1 Cor. 3:13 (Mark 9:49, 1 Pet. 1:7) - Every man’s work shall be made manifest: for the day shall declare it, because it shall be revealed by fire; and the fire shall try every man’s work of what sort it is. Heb. 12:29 - For God is a consuming fire. So the reason i'm talking about Living Water and Fire is that it ties in with Virtual Reality technology. I apologise for all the scriptures. I just wanted to be really Jesusey. The government has invented technology that can alter your perceptions and internal thinking. It can set fire to your insides, a nice pleasing beautiful pleasurable fire just like baptism of fire. I'm sure it would totally fool most Christians if it was presented as god. Also technology to that has the ability to make water taste like it's living. Just like scripture. Which would also fool most Christians. I guess i'm just updating my beliefs. I wrote the fire and living water off as delusions when really I now believe after further evidence they are technology induced. So living water and fire. Both Technology induced. Both in the bible. If they were real I would have changed the world or something. By real I mean whatever the bible was talking about. According to scripture the living water turns into Eternal Life. I'm not sure what the fire is supposed to turn into. I wonder what sort of fire Jesus is supposed to baptise with because obviously it's not Jesus who baptised me i'm pretty sure it was government tech. So i've been baptised with fire and living water unfortunately it wasn't Jesus. Damn. Very sad I could've had the powers to walk on water or feed 5000 or raise someone from the dead if they were real. It's been nearly 13 years since i've experienced the fire and living water and nothings happened. I do desire more of the experience but that's not going to happen. So i've had my baptism of fire and living water but it was technology, not Jesus. Unless you want to explain the technology as Jesus. I just wanted to update my change in belief over the living water and fire since my original articles over 4 years ago, for the future readers of this blog when i'm famous. Technology Fire. 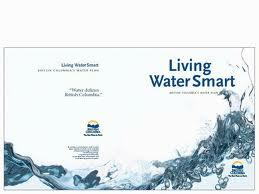 Technology Living Water. Not Jesus.